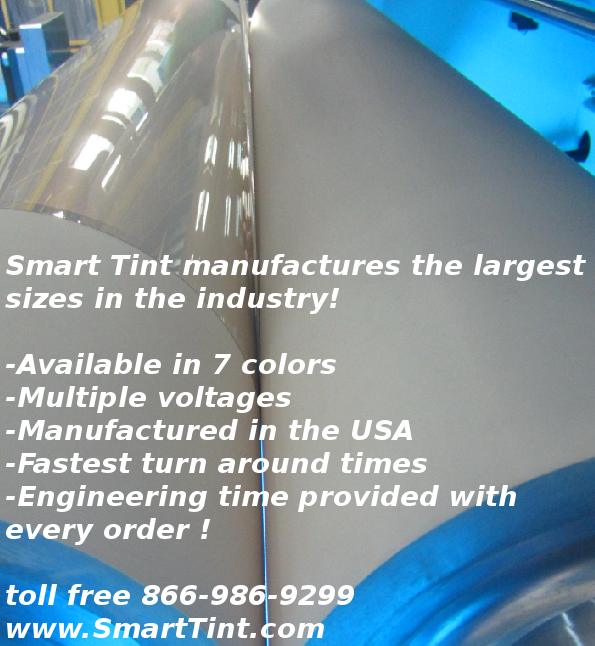 Blog - Smart Tint, Inc.
What is Smart Tint ? Smart Cling® Self Adhesive has worked on many hospital projects. 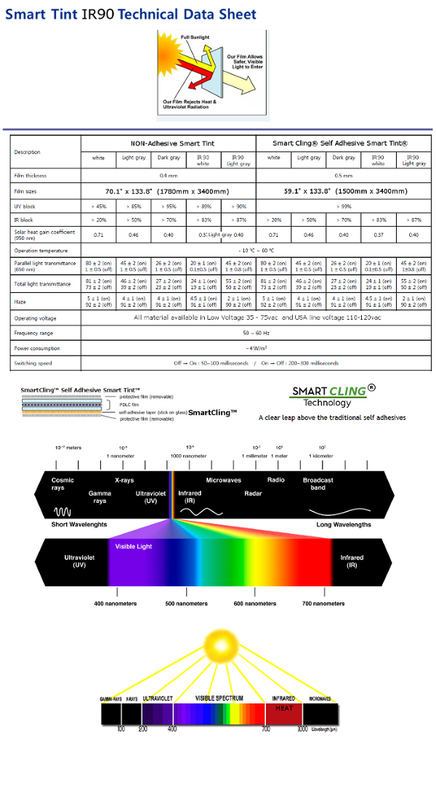 Check out how this University Hospital Installed and uses Smart Tint in all of their ICU rooms. It's the first house I've ever visited that made me feel like Batman. In the library area upstairs, I pulled back a bookshelf to reveal a surprise. But instead of seeing a pole to slide down to a secret cave, I was greeted by a fully loaded game room, complete with a VR headset. 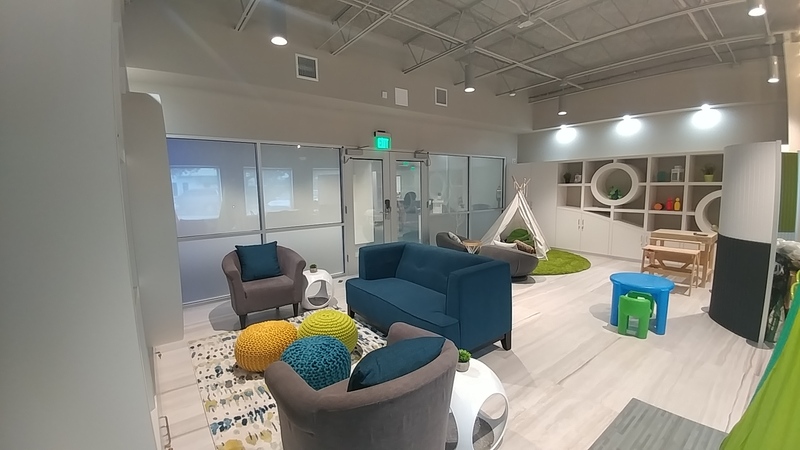 "How Smart Tint is manufactured"
it features two full-length basketball courts with direct access to expanded athletic performance training areas, a film room, and a fully-dedicated recovery area including cyrotherapy, sensory deprivation tanks and in-ground hydrotherapy. The Hawks Basketball Operations Team is housed in the facility full-time. Smart Tint was used for this application to keep prying eyes off of training athletes. There are times when the athletes need privacy on demand and Smart Tint was able to provide the solution. See Smart Tint featured on CBS's new show Pure Genius, debuting this fall. Nissan Uses Smart Tint for Projection On Showroom Windows! 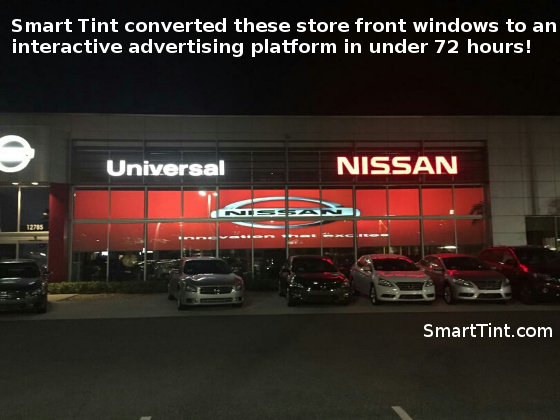 Smart Tint was used by Nissan, so they can project off of their windows for display and advertising purposes. This impressive, eye-catching display is made possible by using Smart Tint as a rear projecting screen off existing dealership windows! 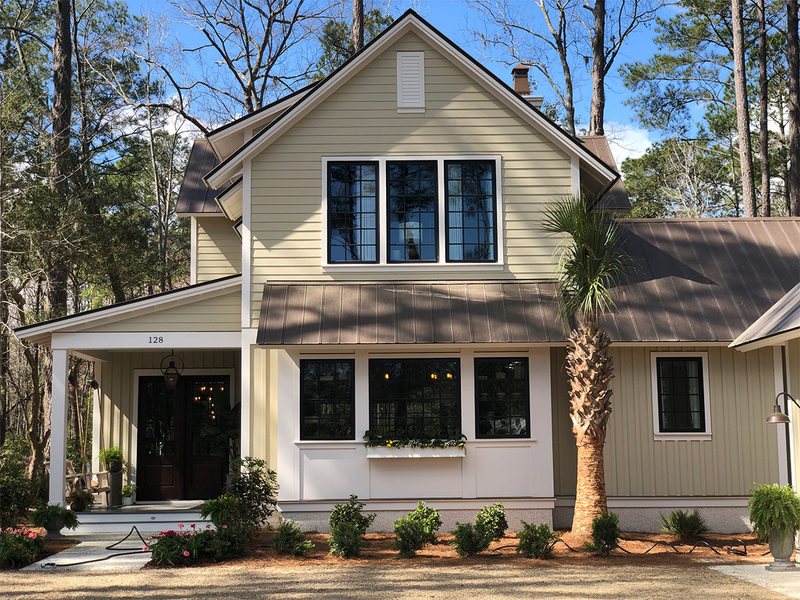 See how these windows transform from ordinary, clear windows, to opaque windows that can be used to project off of, or for instant privacy! "6th Generation Smart Cling Self Adhesive Smart Tint®"
and is being used as an interactive projection screen that goes instantly clear when energized and opaque when powered off and dimmable to provide the most amazing visual effect in the industry! This international song contest stage was created for Eurovision and is being hosted by Copenhagen Denmark. The show is set to air on May 6,2014. Go to eurovision.tv for more details. Here is a video of the panel pre-testing. 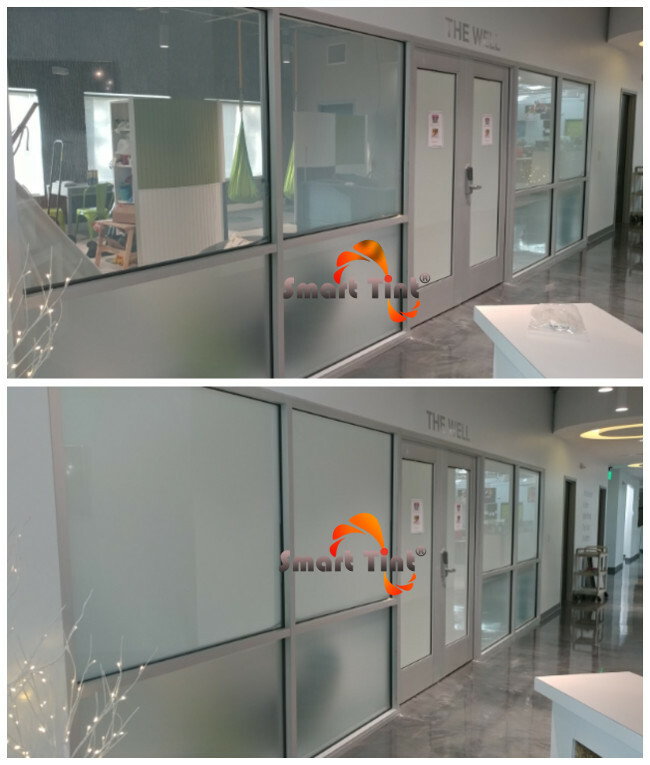 Each Polycarbonate plexi-glass panel shown here has 2 sheets of our 6th Generation Smart Cling Self Adhesive Smart Tint installed sided by side with all of the wiring exiting the middle of the short side . Notice the seems are almost non-existent because of the precise manufacturing process and laser straight edges. Eurovision Song Contest is the biggest music competition in the world. The Eurovision Song Contest was held in Copenhagen, Denmark. Go to Eurovision.tv to watch all the songs performed on this magnificent stage ! 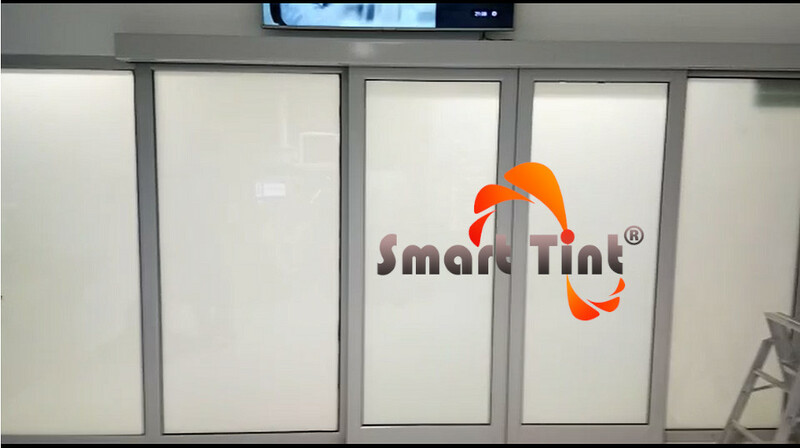 Smart Tint to be featured on the premiere of Chicago Med! 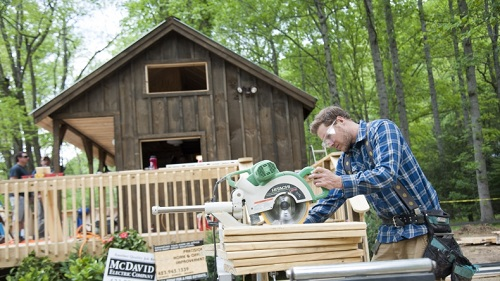 Smart Tint Featured on Tiny House Nation on A&E ! 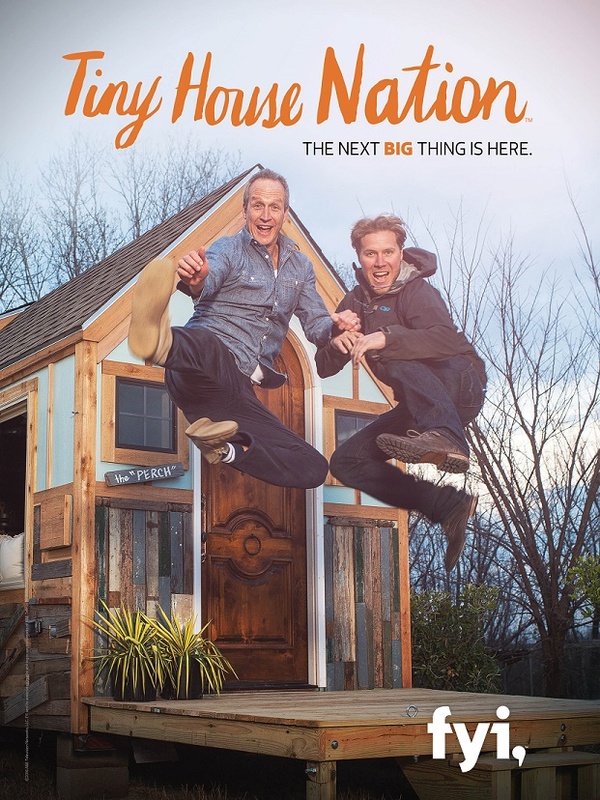 Smart Tint is featured on Tiny House Nation on A&E! 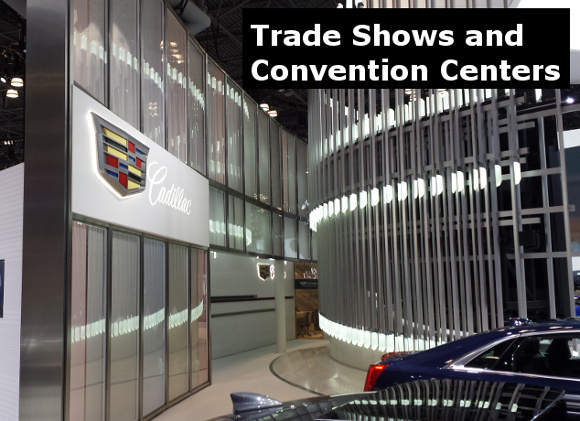 Cadillac utilizes Smart Tint Technology. 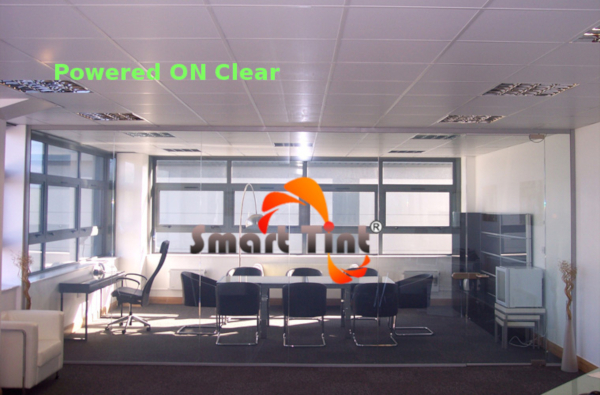 The panels shown below are Smart Cling Self Adhesive White mounted on Plexi Glass. They were then illuminated with led lights transforming the color seamlessly providing the high tech edge Cadillac was looking for. 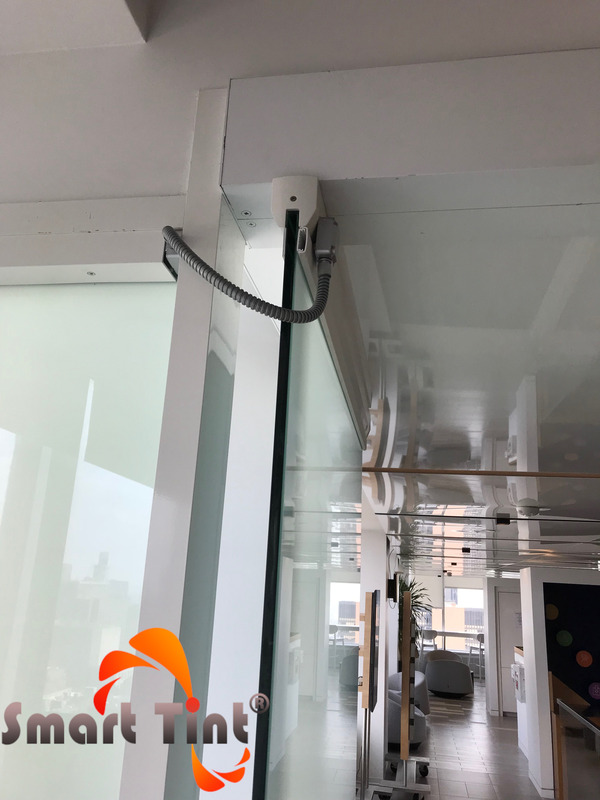 This project is for multiple conference rooms using our Smart Cling Self Adhesive White pre-wired in the middle of the short side. 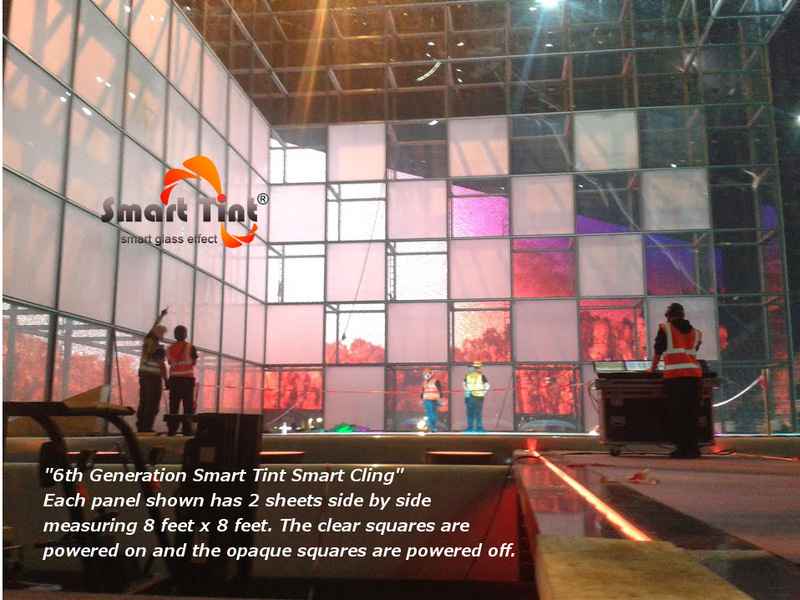 Smart Tint used in Hollywood movie sets, Tv shows, Production sets and more..
Care and Maintenance Always power the film off when cleaning and do not power on until 100% dry. Be careful not to disturb any electrical connections. The best cleaner is a simple solution of water and a small amount of streak free detergent soap . Clean the window and then squeegee dry with overlapping strokes. 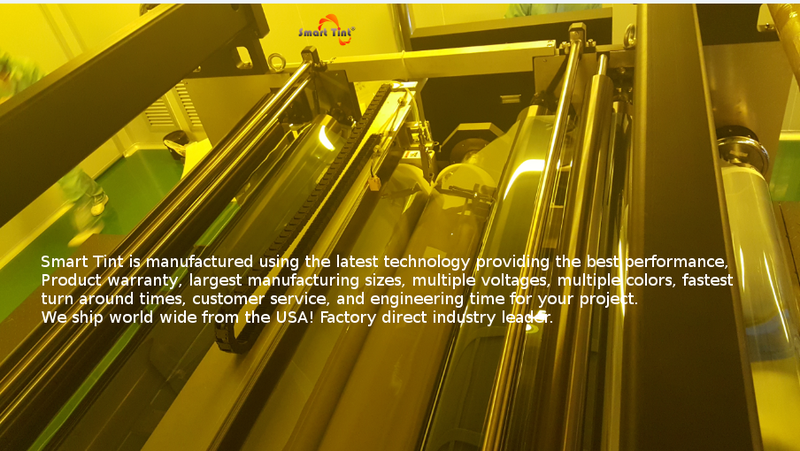 You may also clean the film surface with any normal strength glass cleaner or isopropyl alcohol and a lint free yellow micro fiber cloth. Our poly vinyl surface is durable however if you could avoid harsh paper towels it would prevent light scratches and hazing over time. 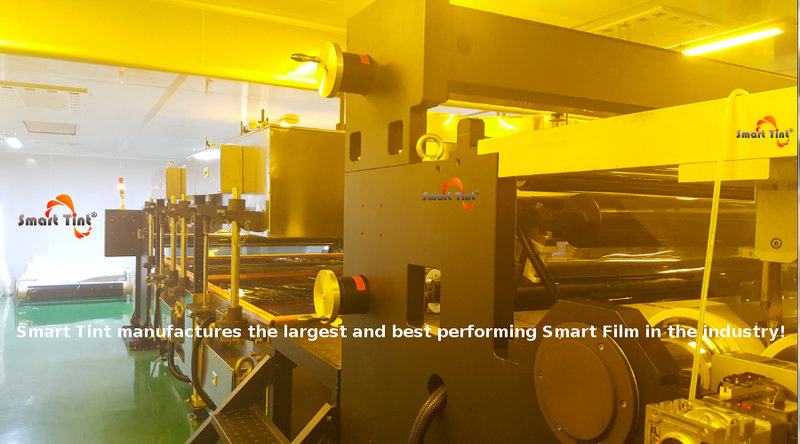 Products with ammonia will not damage the film if used in reasonable quantities. 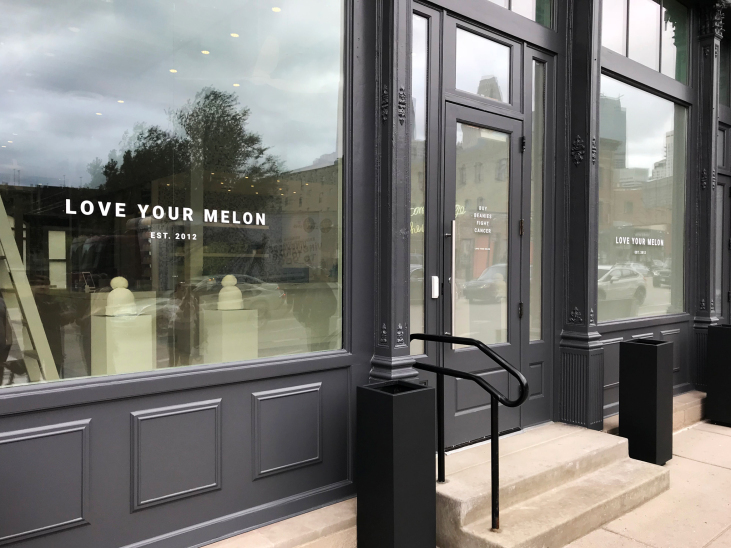 Do not use any abrasive cleaners, industrial strength glass cleaners and/or any other window cleaning tools that may scratch the window film. Remember, the surface of the film is scratch resistant not scratch proof. USA Network television show Royal Pains uses Smart Tint on set. 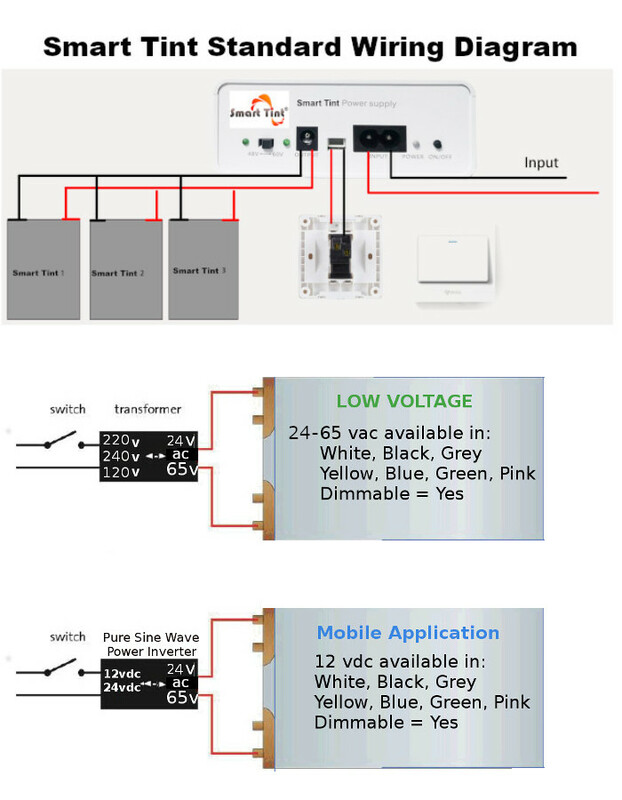 All material is custom cut and pre-wired ready to install. Let us quote your project today! 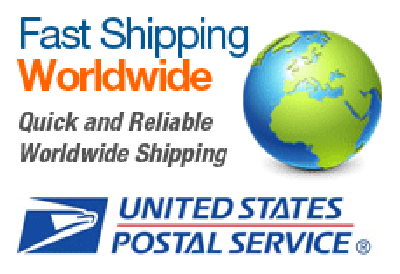 Please Note: All orders are processed within 24 hours of payment confirmation. 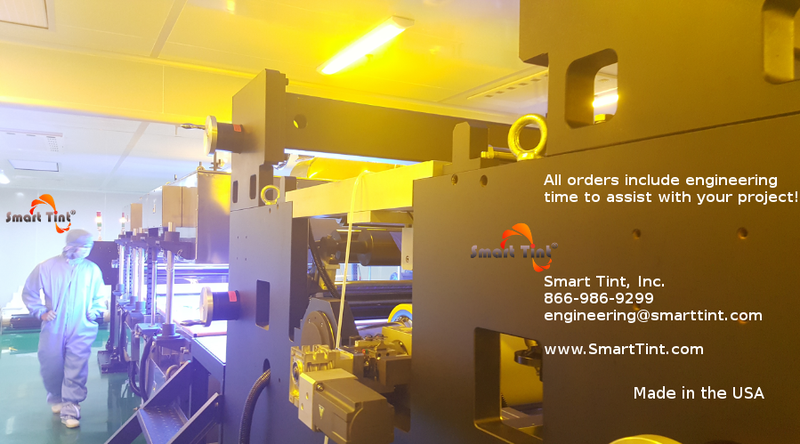 After your order has been completed we will provide a set of shop drawings to confirm final measurements and wire locations prior to final manufacturing and shipping. We do offer an industry leading warranty so please contact us for warranty details on a per project basis. Thank You and we look forward to working with you! 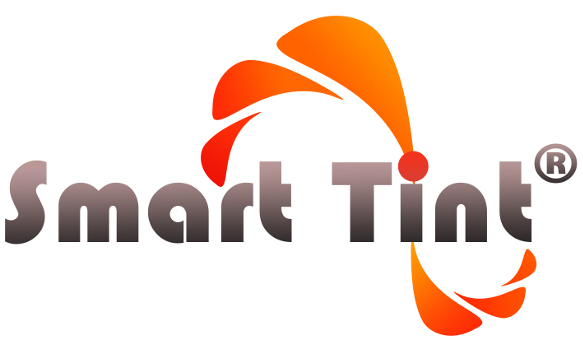 Copyright Smart Tint, Inc.. All Rights Reserved. Dealer Login.